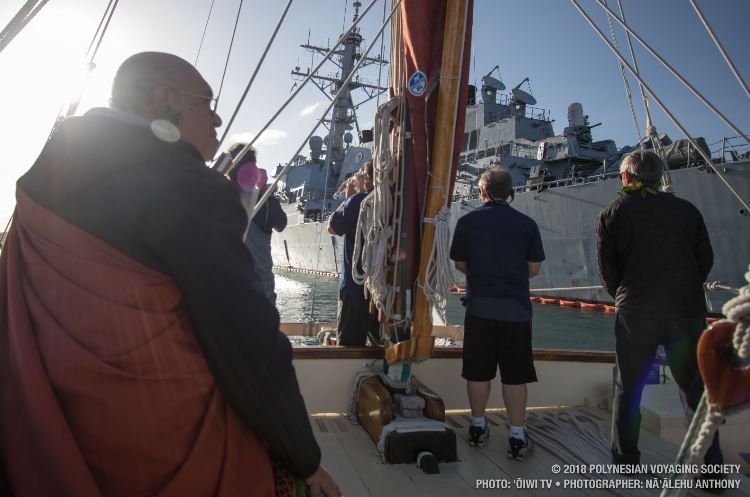 Crewmembers aboard the historic vessel Hokulea are celebrating Christmas Day at sea while in transit to Panama where they will clear customs before crossing the Panama Canal. With approximately a week to go before Hokulea reaches Panama, the crew took the opportunity to decorate the canoe with festive trimmings to get into the holiday spirit while they are away from their families and loved ones over the holiday season. Hokulea was sailing along the coast of Cuba today and will arrive in Panama around December 31, where the crew will possibly ring in the new year. 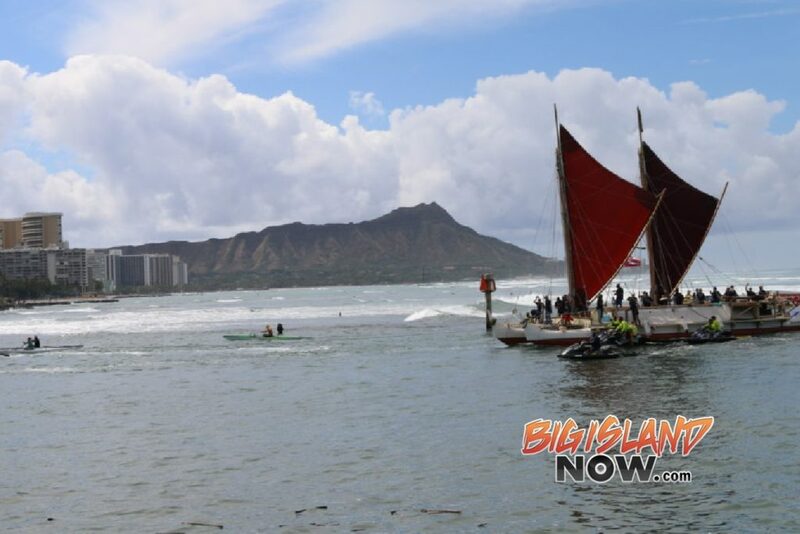 Once she re-enters the Pacific Ocean, Hokulea will make stops in the Galapagos Islands, Rapa Nui and French Polynesia before her sail west back to a celebratory homecoming at Magic Island in June 2017. Legendary voyaging canoe Hokulea and her crew departed from Key West yesterday morning. The crew of the 26th leg of the Malama Honua Worldwide Voyage sponsored by Hawaiian Airlines will continue to make way for the historic Panama Canal, where the ancient Polynesian voyaging replica will transit through the modern industrial marvel. 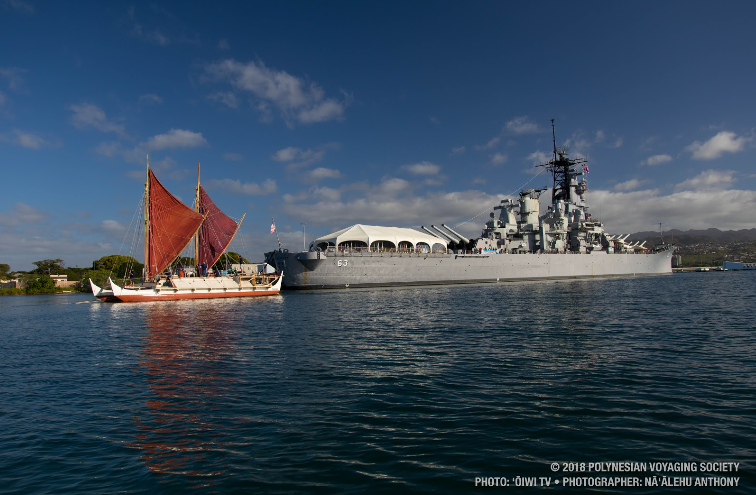 During her stay in Key West, Hokulea underwent usual inspections and maintenance in preparation for the next journey. The crew left Key West around 10:10 a.m. EST and sailed through the island’s channel under tow of the ship Gershon II. As she re-enters Caribbean waters, Hokulea will shift her sights for the 48-mile journey through the Panama Canal heading back to the South Pacific Ocean. 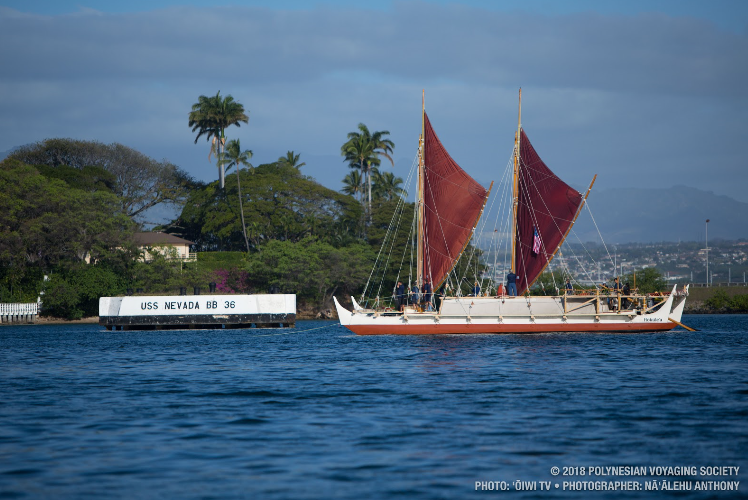 After the canoe’s transit through the Panama Canal, Hokulea will make stops in the Galapagos Islands, Rapa Nui and French Polynesia before her sail west back to the Hawaiian Islands. 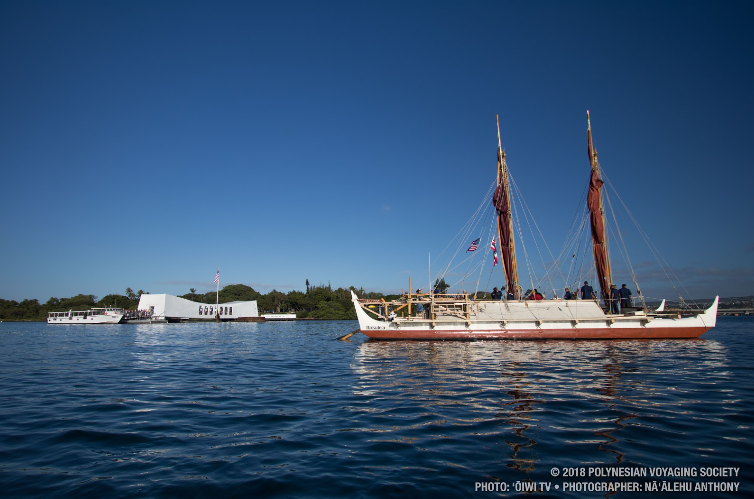 She is scheduled to make a celebratory homecoming at Magic Island in June 2017. With just under seven months to go on the Malama Honua Worldwide Voyage sponsored by Hawaiian Airlines, the Hokulea team will continue engaging communities through education, collaboration and service, sharing the message of ocean conservation and sustainability and the mission of Malama Honua (caring for Island Earth). Crewmembers aboard the iconic voyaging canoe Hokulea departed Miami’s waters this morning and are headed for Key West for a brief stop before sailing to Panama to transit through the Panama Canal. Hokulea ended Leg 25 of the Malama Honua Worldwide Voyage in Miami where she was moored for approximately two weeks for necessary re-provisioning and preparations for the canoe’s next crew and journey to Panama. The canoe was docked at Shake-A-Leg Marina, which is home to a non-profit organization that offers therapeutic watersport activities and marine environment education to people with physical and developmental disabilities. The crew hosted several canoe tours for the youth and adults participating in the Shake-A-Leg Miami programs. During the two-week stay in South Florida, the crew also utilized their time to host public canoe tours and reconnect with schools to share the environmental and cultural mission of the Voyage. Na Kelamoku, Polynesian Voyaging Society’s youth leadership group, also joined the crew in Miami to visit with schools and learn from other Miami organizations studying the environment. Both groups also visited the National Oceanic and Atmospheric Administration’s (NOAA) National Hurricane Center and Weather Service and heard from local experts on how they track weather, forecast storms and collaborate with the Central Pacific Hurricane Center in Honolulu. After the canoe’s transit through the Panama Canal, crews will make stops in the Galapagos Islands, Rapa Nui and French Polynesia. She will continue to sail west until she concludes her Worldwide Voyage with a historic homecoming at Magic Island in June 2017. Within the remaining seven months, the Voyage will further its mission of engaging communities worldwide with education, collaboration and service and share the message of Malama Honua (caring for Island Earth). 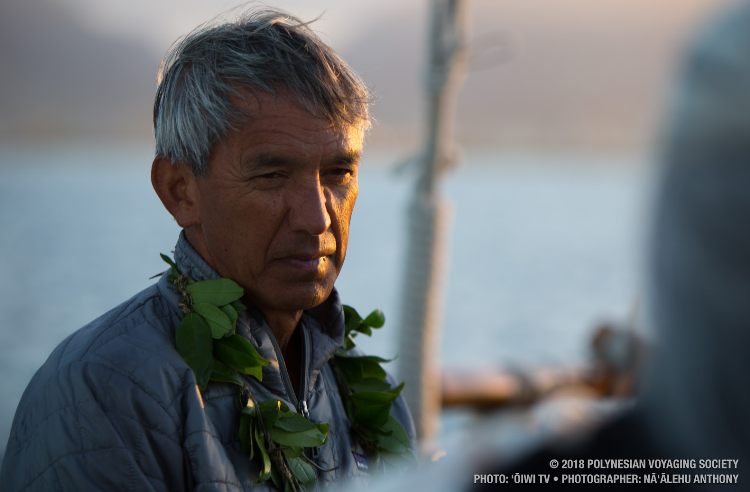 Precision, timing and patience: these meticulous elements are crucial to the success of Hokulea’s most current leg of the Malama Honua Worldwide Voyage, as the canoe and her crew are set to encounter lock after lock on their first-time sail to the Great Lakes of North America. A lock is a complex waterway system used for raising and lowering watercraft between bodies of water of different levels on rivers and waterways. The traditional voyaging canoe from Hawaii left Waterford, New York early this morning and docked at Riverlink Marina in Amsterdam, New York at around 4:00 p.m. Eastern Time. Crew members are now prepped to sail the Erie Canal locks and bridges, taking the Oswego detour to pass through 30 locks to reach Lake Ontario. The canoe first encountered the waterway lock system in March this year during her Florida sail. However, this current series of locks is the most extensive lock system that the Malama Honua Worldwide Voyage has experienced, and the crew will take this time to learn the more intricate details about the physics of the lock system. On this leg of the voyage, the canoe has been elevated by the waterway locks by a collective total of 250 feet. 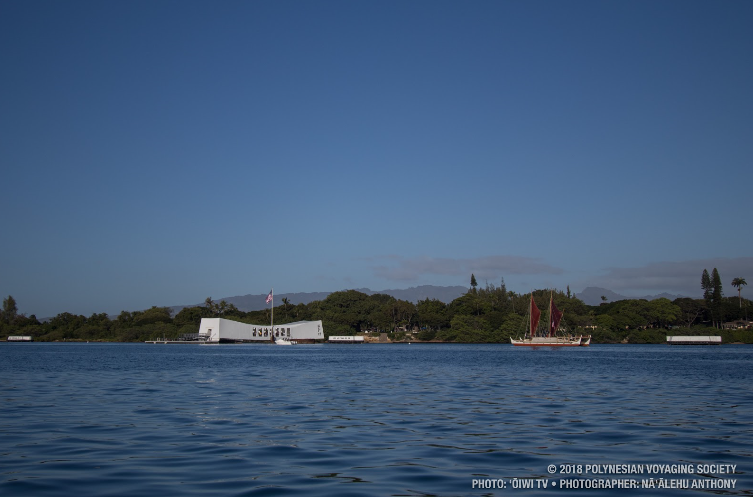 The Hokulea crew plans to re-start sailing tomorrow morning at 7:30 a.m. ET. After completing the first ten 10 locks today, they are aiming to complete Locks 11-18, with Lock 17 having the highest water lift of 40 feet. This current leg will bring Hokulea the furthest north that she will travel on the Worldwide Voyage.